Make pretty good espresso in a relatively short time if only you have ground coffee and hot water ready. 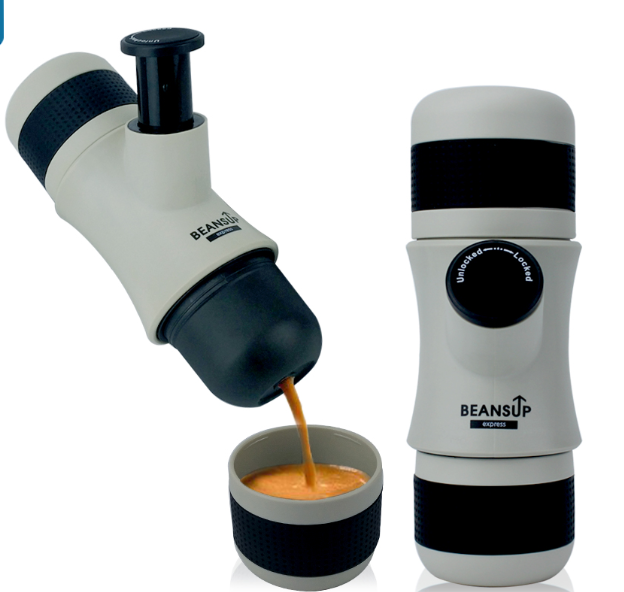 Portable design, simple and fast to use, hand operated a coffee machine, you can prepare amazing espresso anywhere. Wonderful gadget to make fresh coffee for enjoying a tasty espresso shot. PLEASE, TAKE TIME TO READ WELL THE INSTRUCTIONS FOR USE PARTICULARLY BEFORE THE FIRST USE. A misuse of the appliance can damage it or hurt the user. Assure that you use the appliance for the use for which it is designed, we refuse any responsibilities as for the damages by an incorrect use or a bad manipulation. 1. The Mini portable espresso machine is intended to a personal use. It is not suitable for commercial, professional, collective or industrial use. Use of the Mini portable espresso in any manner Other than as directed herein could cause harm to persons and avoid the warranty. 2. 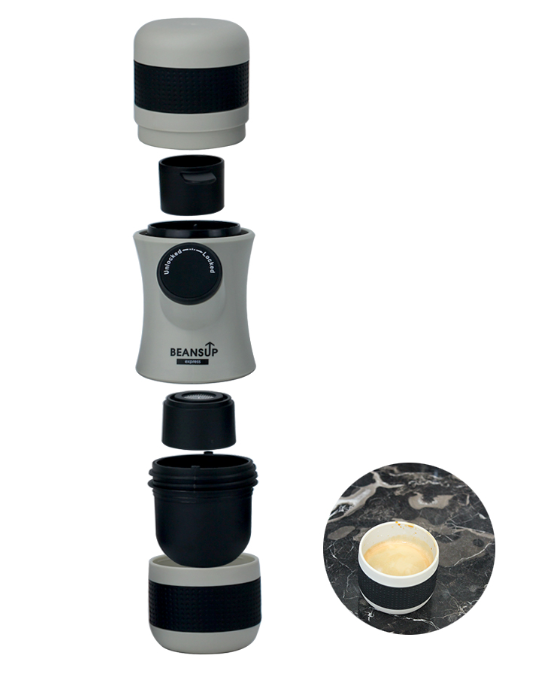 Do not use the Mini portable espresso for other than its intended use. 4. The packaging elements ( gift box, plastic etc.) must not be left within reach of children as they are potential sources of danger. 7. Do not action the piston if the water tank and the outlet head are not in position. 13. If you burn yourself, immediately pour cold water on burnt area and call a doctor if necessary. Perfect solution for travel, home and office for coffee lover. Easy cleaning, operation and portable. WARNING . Avoid burning yourself, handle hot water with care. . Do not apply higher than usual force on the piston if this one is stuck. . High pressure may cause damage. . Do not fill to the rim the filter basket with tamped ground coffee, . Only use one scoop of ground coffee (7 grams) to fill the filter basket.